Light, refreshing, and only 16 calories per 1/4 cup! Serve with baked pita or tortilla chips. 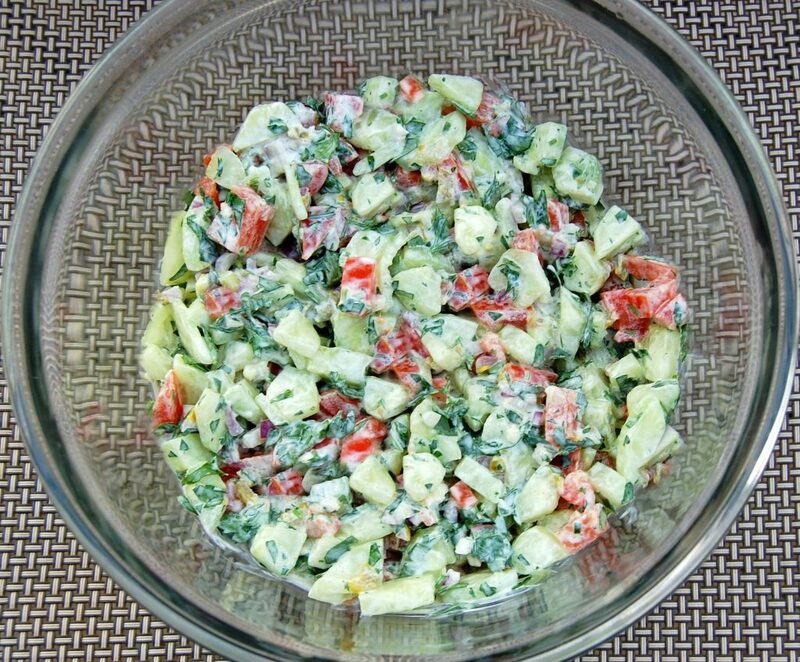 In a small bowl, combine the cucumber, tomato, red onion, cilantro, parsley, jalapeño and garlic. 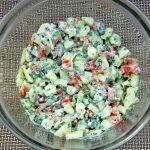 Pour dressing over cucumber mixture and toss gently to coat. Serve immediately.